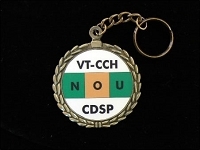 This Key Chain medallion displays your accomplishment of a CDSP Obedience Championship title in beautiful colors. Each 1" design is printed on vinyl, recessed into the front of the medallion and laminated to be UV and water resistant. 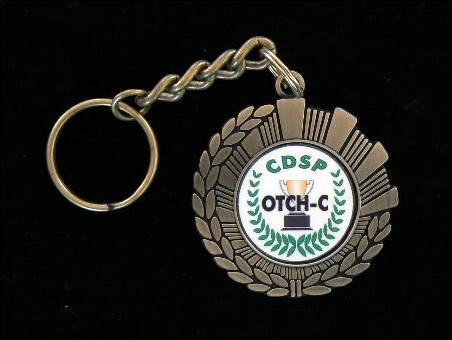 The medallion is 1 3/4 " wide with an antique gold finish and features a 1" key ring attached with a link chain. Made in the USA. This item only available at Products4Pets.